A reader sent in this photo from a recent J Crew email, and asked if I could recreate it for less. 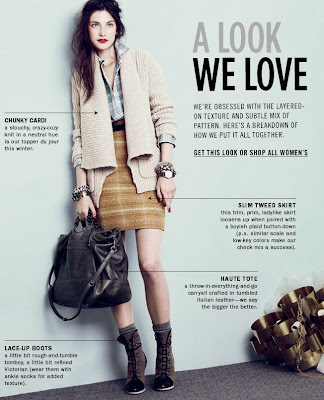 You can see all of the pieces used in the J Crew version HERE. Here is my interpretation of this look, assisted by reader Molly who sent in THIS ByCorpus sweater as an alternative to the J Crew Marled lambswool Apres cardigan above. Product information can be found below the photo, and you can click on any image below to purchase. 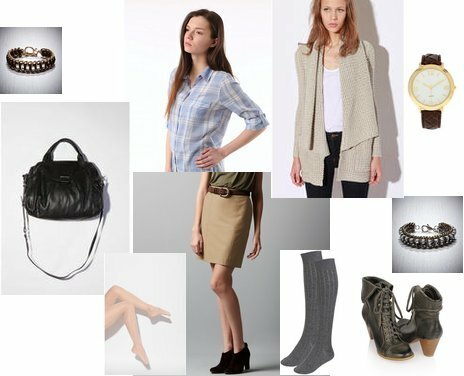 I wasn't able to find exact matches for the skirt or boots, so if you're interested in splurging on one item - I'd go for the J Crew skirt (just my opinion). you're a miracle worker, i like your picks WAY better than the add, they're more people friendly and not so commercialized. You are amazing. This blog is brilliant. It makes me happy every day.